The Plants vs. Zombies formula is simple; protect your lanes from onrushing zombies using units of varying utility. Zombie vs. Gunman, at face value, is yet another game hoping to piggy-back on this blueprint. The setting is different – half, at least – with cartoony, era-ambiguous soldiers replacing the plants that’ve spawned half a dozen games. The first thing that catches your eye – ear – is the music. Simple, ominous and brassy and sets the tone well. The menu screen (below) is well designed and minimalist, and would fit right in with any Triple-A title – except for the damned artwork. To be perfectly honest, it’s bad. It is. Every bit of the game is detailed and shaded – heck, there’s even lighting effects – but the quality of the actual linework, the style it’s drawn in, is objectively poor. It’s simple but not in a good way. Simple in the way that South Park is simple – works for a satirical comedy show, not so much for a game that, in every other way, takes itself seriously. You use Gold (which zombies inexplicably drop when they die) to summon soldiers in one of eight spaces along each of your lanes. 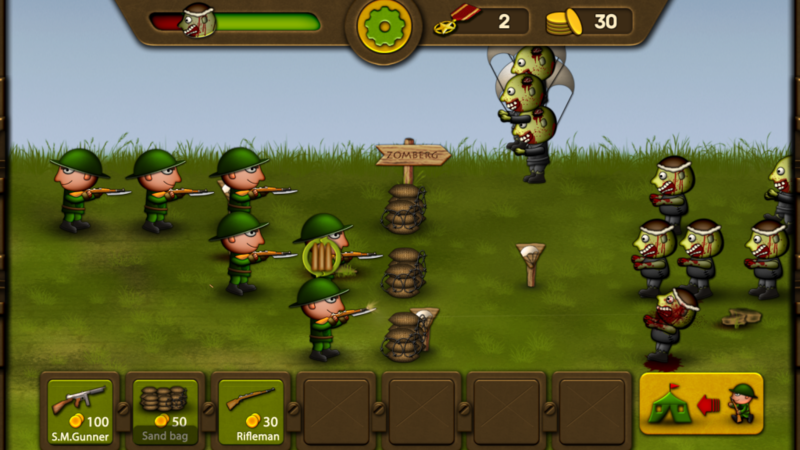 The soldiers then dutifully march their way toward the zombies, stopping to fire once they’re within range. Kill zombies, tap to collect gold. Repeat until they’re all dead (again). There are a couple fun little quirks added to this game that aren’t present in Plants vs. Zombies, such as your soldiers running out of ammunition and literally needing to be poked in order to remember to reload. It adds a bit of babysitting to the game that wasn’t present in PvZ once you established your plants. Unlike PvZ, when you “recall” a unit from the field you are refunded the full cost of the unit an may re-deploy them immediately. Very handy for those times when the zombie hordes are bearing down on your frontline and you want to save them a very painful death. 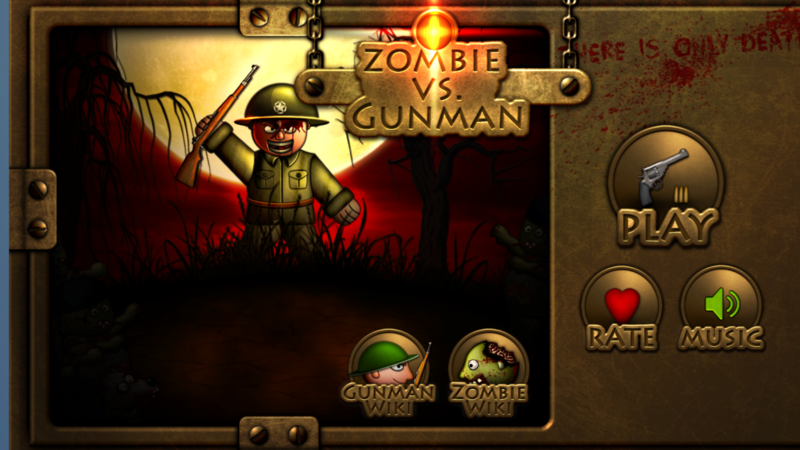 Zombie vs. Gunman also has an RPG element to it, in which you utilize “Medals” (which replace Stars from PvZ) to upgrade your units in various ways – Health, Range, Damage, Bullet Penetration, etc. These medals are accumulated through good performance in each level, though attaining a 3-medal rating is nigh impossible in the later levels – you must finish the mission while losing exactly zero soldiers. These medals can also be bought in the form of micro-transactions which are by no means required to complete the game, but do make it significantly easier. The sound design is decent, not great. There are a couple sound effects lifted straight from other sources (the reload effect, for instance, is a DOOM favorite) and some of the fun sounds are drowned out by other, less important ones. There a few minor grievances here as well, such as the “Empty” sound and the “Reload” sound being 100% identical. There are some random text errors, or perhaps mistranslations, that keep the game from feeling polished. This is a running theme throughout, with only the menus feeling truly complete. Sound effects and graphics both feel rough and in-progress. 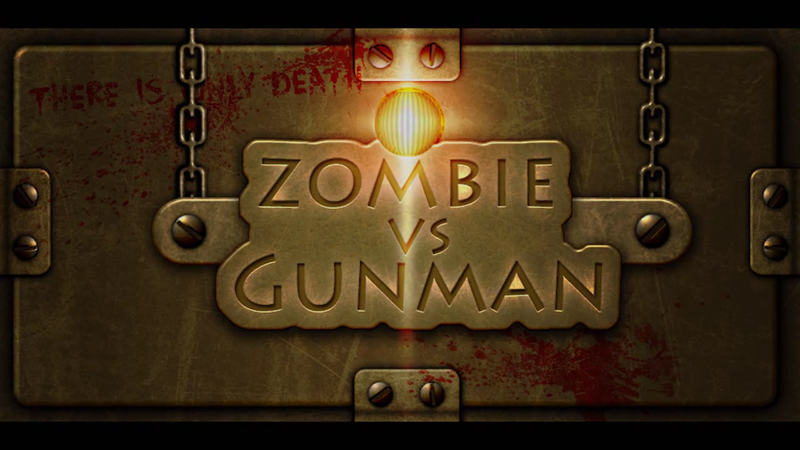 Throughout my experience with this game, I had a recurring thought – Zombie vs. Gunman is one strong animator/graphic artist away from being a very good game. A professional sound designer wouldn’t hurt either, nor would a proper translator, but the game really suffers in the graphics area. More unique upgrades for the units. More than three unit slots to begin with. Fresh-ish take on PvZ’s proven formula. Lots of nifty little details. 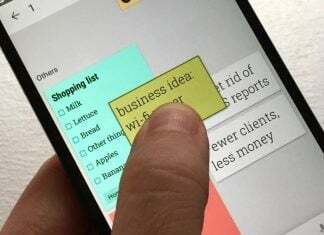 UI design is quite well done. Graphics and sound design feel unfinished. The name. Seriously. Zombies vs. Soldiers or something would be better.